This is a 1000 foot cliff face rising from the valley floor. It overlooks Valley of the Gods. The road that goes down the plateau face leads to Mexican Hat, UT. These are bluffs south of Cedar Mesa and the road below eventually leads into Valley of the Gods. 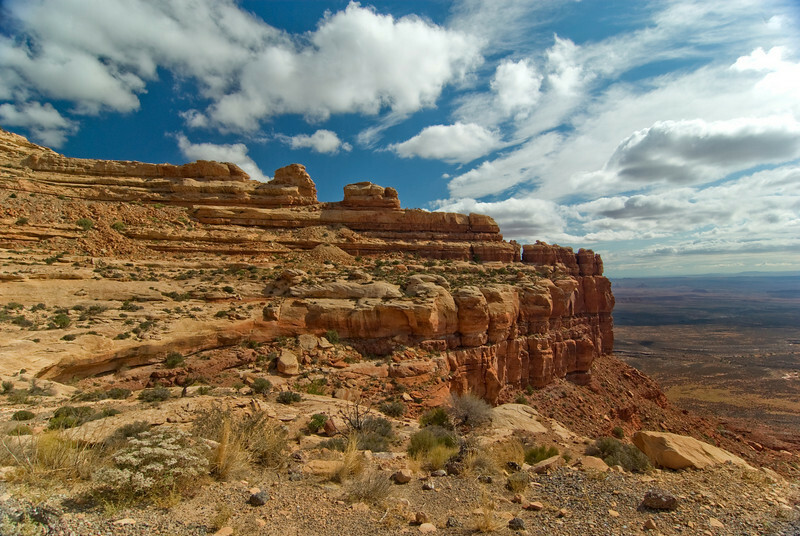 The main highway leads south to Mexican Hat, north to Natural Bridges National Monument.